You probably aren’t brushing enough – Most people brush for less than one minute – leaving more than half of the plaque from the night before still on their teeth. Brushing for the full two minutes ensures that all plaque is reached by the toothbrush. You can’t be healthy without a healthy mouth – Many assume that your mouth is an entirely separate thing when it comes to health, but, in reality, it is indicative of the health of the rest of your body. If your mouth is unhealthy, chances are the rest of your body isn’t healthy either. Take a closer look at your tongue – The tongue gives a lot of information regarding the health of the rest of the body. For example, if the tip of the tongue is red, it can be a sign of thyroid or heart problems; if the tongue has a yellow/green tint, it can mean liver or gallbladder problems. We often think of the mouth as simply the teeth and gums, but it is really a lot more than that. Take off your lipstick! – When you go to the dentist, take off your lipstick. 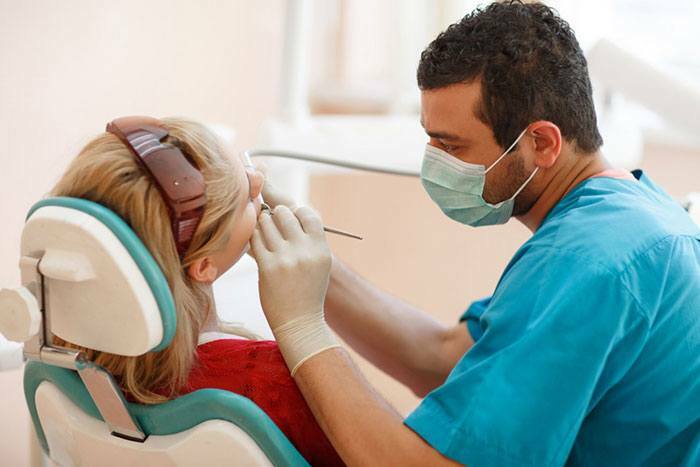 Many dentists say that women don’t think about this beforehand, and it ends up creating a big mess on their part. Why not make life as easy as possible for those operating inside our mouths, right? Oral cancer is one of the most deadly cancers – People don’t check for signs of oral cancer as much as they should, as it is one of the most deadly cancers. Signs of multiple, consistent lesions on the tongue or in the mouth. No matter how small they may be, say something to the dentist. It could end up saving your life. Too much exercise can ruin your smile – Exercise is very healthy for the body, but if one does not stay properly hydrated and exercises too much, your smile can be affected. Sweat diminishes the amount of saliva in the mouth, leading to dehydration. Sports drinks are often consumed during exercise, as well, and those are full of sugars that can ruin your teeth and gums.